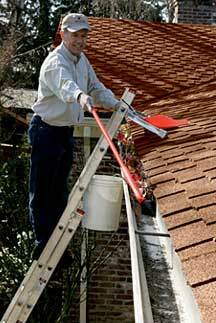 As Cleveland's leading gutter cleaners, The Gutter Cleaning Company offers complete professional gutter cleaning at very affordable prices. With over a thousand completed jobs and satisfied customers, The Gutter Cleaning Company should be your first call! Because we are a locally owned and operated company, we understand the problems your home has when the gutters are clogged with debris. Our crews are insured so you have peace of mind when we work on your home.